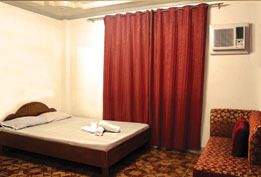 All rooms are fully-furnished with air-conditioning unit, queen-size beds, refrigerator, hot and cold shower , and comfortable seating area with cable television. 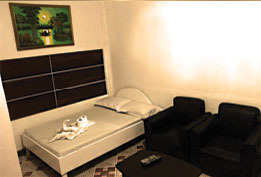 Each room also has an automatic fire alarm system to ensure the safety of the clients. Copyright © 2013 www.vikingbaloy.com | All rights reserved.